Two of the most awaited days of the year, Black Friday and Cyber Monday sale is coming, and we are all excited about it. Both these shopping events fall in November. The Black Friday sale is on November 23, followed by Cyber Monday on November 28. It’s that time of the year when you get huge deals and discounts on almost everything. If you are planning to purchase WordPress related products, then these days can be the best ones for you. This week of Thanksgiving which includes Black Friday and Cyber Monday offers a fantastic opportunity to grab some of the greatest deals on almost every range of product. And, to make your work easier, we are going to give you a list of the Best Black Friday and Cyber Monday Deals of 2018. Just find the one that you need and grab it before its gone. 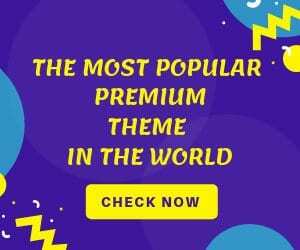 Here are the discounts and deals on some of your favorite WordPress themes, plugins, marketplace and hosting companies. The leading WordPress themes and plugin developer, Elegant themes is known for its products like Divi, Bloom, Extra, Monarch and more. You can use all their themes and plugins on unlimited domains with their simple membership system. They are giving up to 35% off on their purchases which is valid from November 22 to November 30. MyThemeShop is another leading store which offers amazing WordPress themes and plugins which are a perfect solution for any type of website. All of the MyThemeShop products have a unique design and make your site load faster. They are offering 72% off on their products, and this offer is valid from November 21 to December 3rd. ThemeIsle develops some perfectly designed WordPress Themes and Plugins best suited for all types of business needs such as restaurant, magazine, e-commerce, photography, news and more. ThemeIsle is offering 35% off on its products and is valid from November 25 – November 29. Sitemile creates wonderful app themes form small businesses which are beautiful, fully responsive themes and feature rich. They are offering 20% off on their products which is valid from November 21 to December 3rd. Themify offers themes and plugins which are responsive, make your website faster and your work easier. Themify also offers ready-made designs and also provide drag and drop page builder for easy customization. You can get 40% off on their products which is valid till November 25. 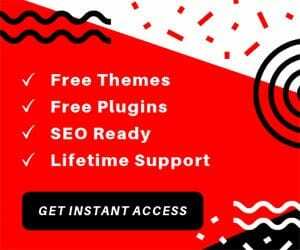 The largest marketplace selling high-quality WordPress themes, plugins, audio, videos, 3D files, Envato is the one-stop destination for WordPress shopping. You can get a 50% of on their products which are valid from November 25 to November 28. Thirsty Affiliates is a WordPress plugin which offers a wide variety of affiliate features such as cloaking affiliate links, automatic keyword linking, Proactive Link Fixer, Smart uncloaking and more. They are offering 30% off on purchases which is valid from November 24. Another fast web hosting provider, A2 Hosting provides hosting services at reliable prices. They offer web hosting features such as Unmetered Disk Space, Unmetered Bandwidth, 1-CLICK Script Installs,99.9% Uptime Commitment and more. A2 Hosting is giving a discount of up to 67% on their plans which is valid from November 23 – November 27. SiteGround provides reliable, managed, high performing and auto-scalable web hosting services. They provide Web hosting, WordPress Hosting, WooCommerce Hosting, and Cloud Hosting services. They are giving a 70% off of their plans which is valid from November 23 to November 28. As the name suggests, it is the cheapest domain registrar and offers domain names and extensions at a very affordable price. Namecheap also offers web hosting services such as Reseller Hosting, Shared Hosting, VPS Hosting, Managed WordPress Hosting and others. They are giving a 98% discount on their plans.